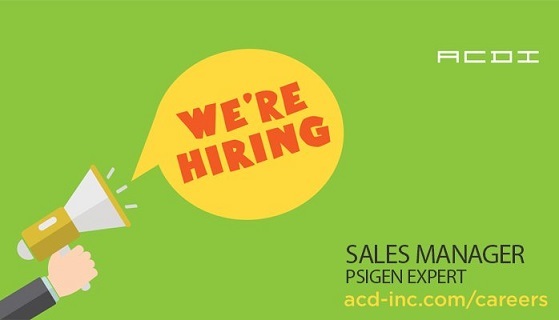 ACDI Looking for PSIGEN Sales Expert! | Industry Analysts, Inc.
ACDI Looking for PSIGEN Sales Expert! ACDI is a rapidly growing Professional Services Company that sells and supports dynamic software and hardware solutions in a distributor-reseller environment. We have channel distribution and development partnerships with many of the largest copier and printer manufacturers worldwide, including Samsung, Xerox, Sharp, Canon, Ricoh, Konica-Minolta, Toshiba, Lexmark and others. Our technology-focused outlook positions us on the leading edge of new and innovative ideas in the print management space. Click here to see all open ACDI positions! This entry was posted in ACDI and tagged ACDI by IA Staff. Bookmark the permalink.